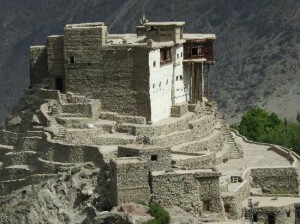 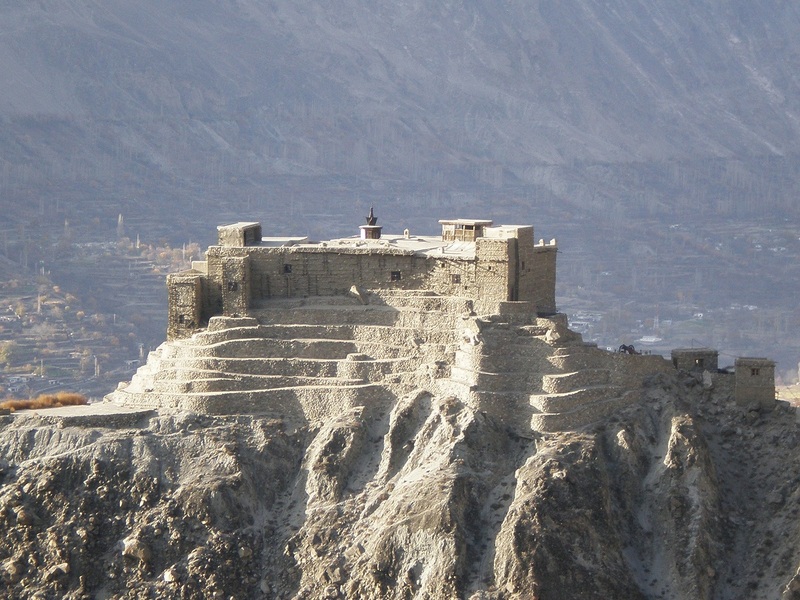 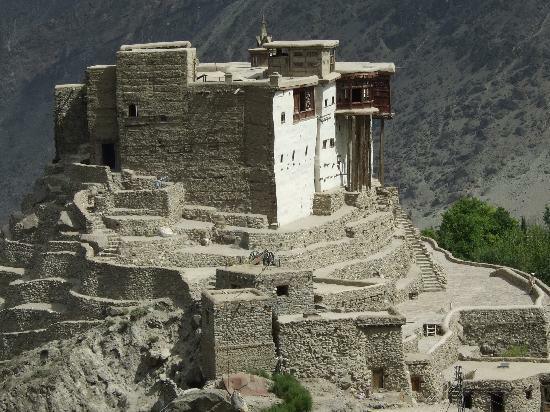 The ancient Baltit Fort of Karimabad resides in the Hunza valley, within the northern areas of Pakistan. 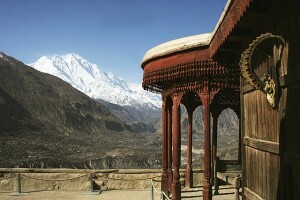 Surrounded by mountains, the fort displays an exceptional site of breathtaking beauty. 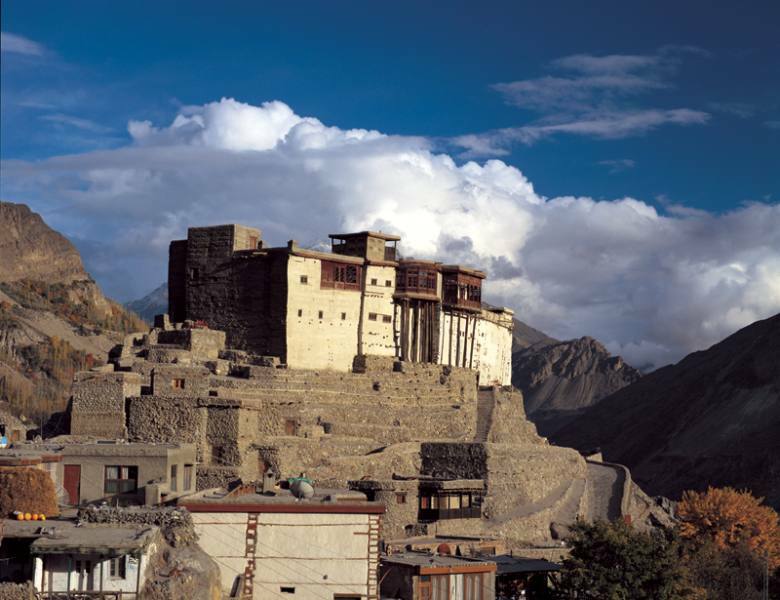 Influenced by Tibetan architectural style, the origin of this fort goes 700 years back. 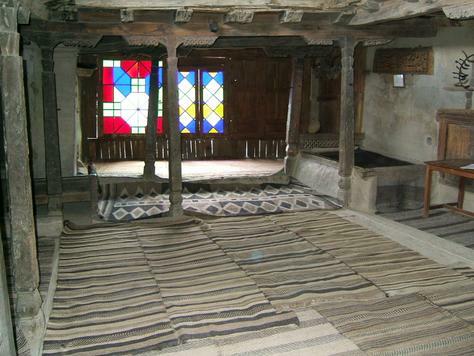 The main structural frame is consisted of pegged timbers decorated with stone and brick-work from inside and outside. 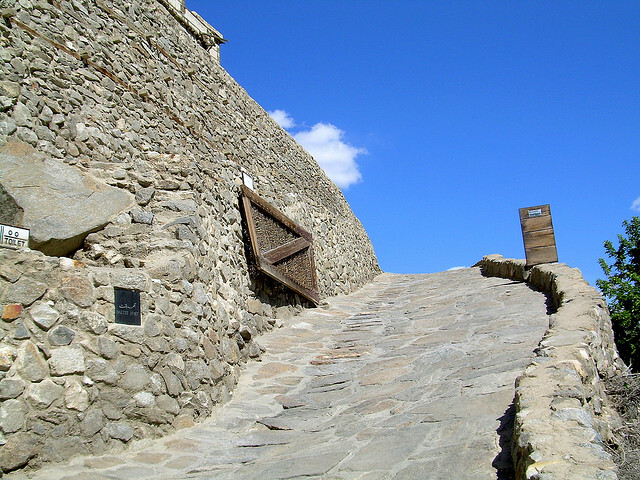 Set in the west facade, the entrance of the fort leads to a stone passage. 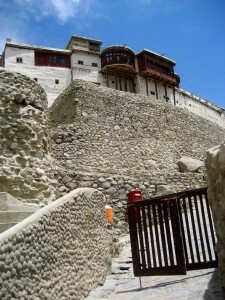 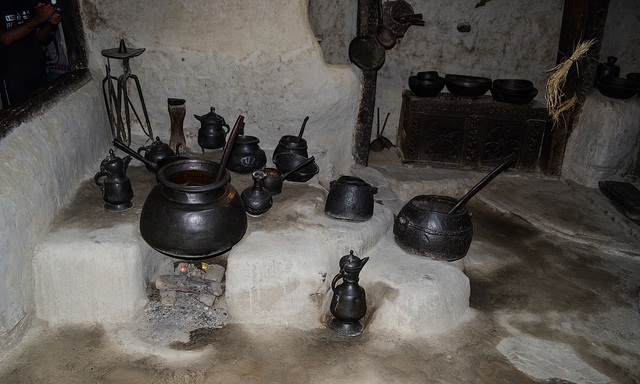 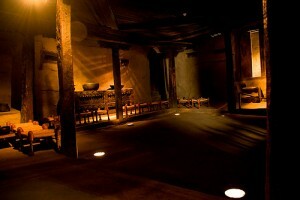 Majority of the the rooms inside the fort are single storied in structure. There is a dark corridor in the ground floor that leads to a storage space, decorated with cribbage frames of rubble stones. The corridor leads to a staircase of stone masonry in the west side, connecting to the richly curved royal kitchen on the first floor. Since its formation, the fort had been in a dilapidated state before being renovated with new structural forms. 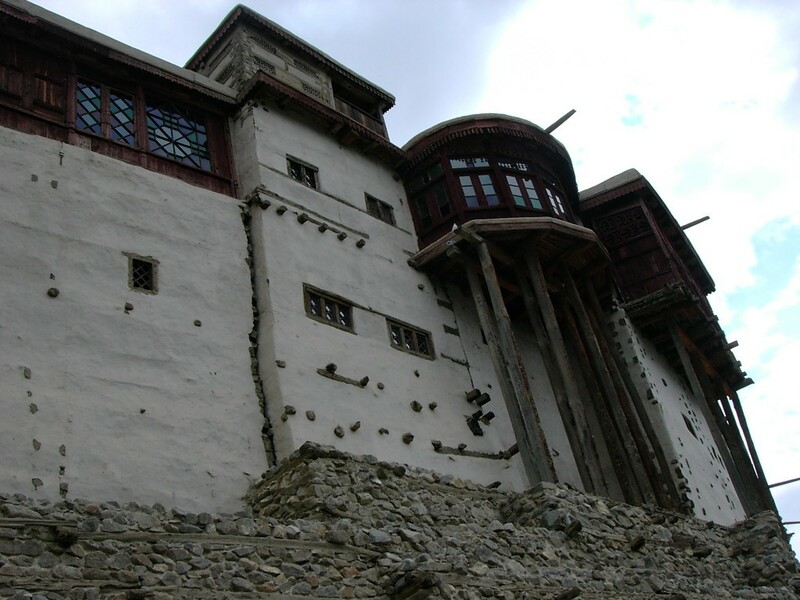 But the main timber frame structure has never lost its solidarity with the passage of time.